We can give you a basic setup to get you going on your Mac and return (if required) in a few weeks and answer any questions you may have. We can load MS Office or Office 365, add Skype, Chrome browser, MYOB, Reckon, QuickBooks or any Mac application you have. Most new macs do not have DVD drives so we can save you the expense of buying one, which you will probably use rarely, and use ours just for the Mac setup. CMB can configure these to your liking and also sync your contacts and calendars so that changes on one replicate across all devices. 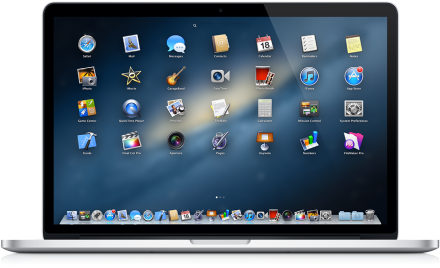 We can also transfer your documents, music, photos, bookmarks from your old Mac or PC. Maybe you need the data transferred from a PC or Mac or perhaps its just a complete new device to be setup? Your Mac can move all the data from your old computer to this new one; that old machine can be another Mac or a Windows PC. This bit of magic is performed through something called Migration Assistant. This is a process that can be performed at initiation or at another time. Do you want to share screen with another Mac? Are you working with peers or have a need to share your local files with them? Or is there a need to share other peripheral devices (scanners, printers, etc) this mac is connected to with other people on a local network? We can also provide Training on any of these devices or applications such as Finder, Safari, iTunes, iPhoto (now Photos).